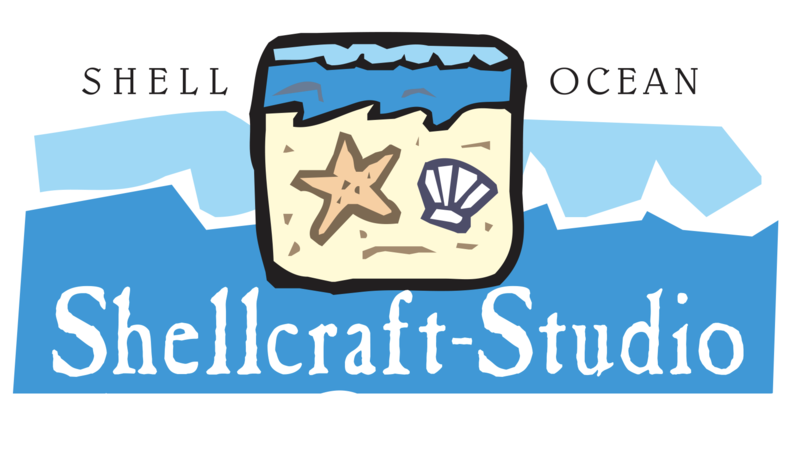 Our Seashell Craft Studio is the largest of its kind in Europe! 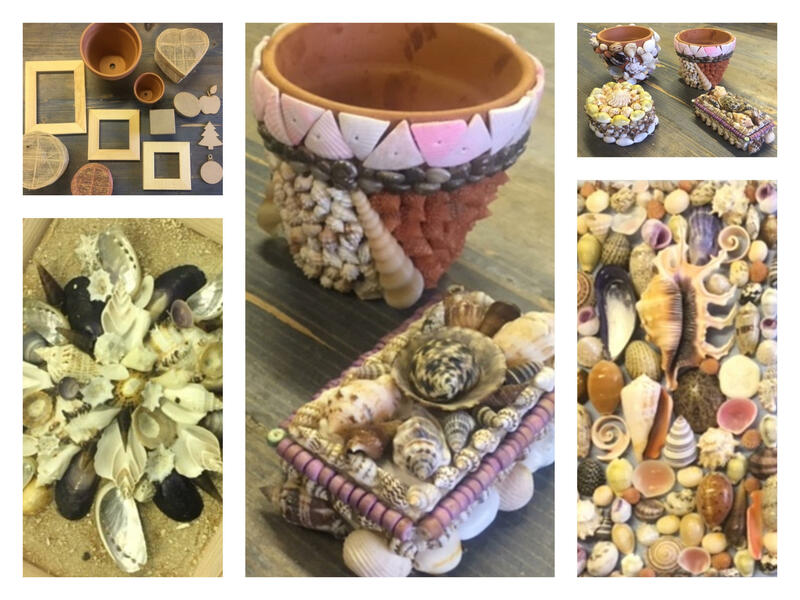 We offer a fantastic range of items to make and decorate with beautiful seashells. There are various items to choose from, decorate a frame and choose whether it is a picture frame of a mirror, create the picture inside the frame, choose a flowerpot, a jug, a fridge magnet or a box. Little boxes, big boxes, round, square or heart shaped, there is something for everyone. This is an activity to suit all ages, and with a simple coffee shop to keep you going, you will soon have created your masterpiece. We recommend allowing 2 hours but that's a guide, depending on the size and complexity of your project. The price includes all of the seashells you will need, and to give you an idea, they are all listed on this website under the Craft Shell section, and with over 100 different types, large and small, mother of pearl, cut shells, tumbled shells, sand and pebbles no two creations will ever be the same! Your item can be finished and taken that day or kept and worked on for several days. There is help at hand and lots of ideas to get you started. You are free to look through and select your own shells from so many on display. Please make an appointment to make sure you are not disappointed, we are very easy to get to, Atlantic Farm is just off the Atlantic Highway (A39) as it passes Bude. If you would like to buy a voucher as a gift please click here. If they choose a bigger project when they get here, the voucher can go towards the final price. Call to book your session, we welcome groups of adults, families and children and often host children's parties. We can accommodate up to 15 people. We also have plenty of other items for you to make. Gift bags of seashells, potpourri and much more.